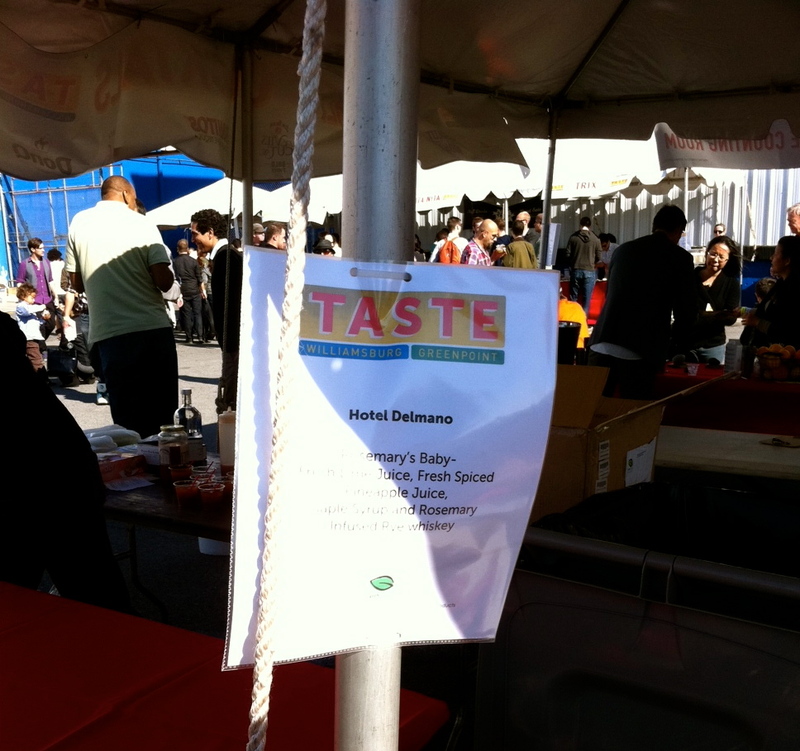 Last weekend I went to the Taste of Williamsburg event in Brooklyn, NY on the most perfect almost-autumn Sunday imaginable. While we certainly tasted many delightful bites of food (Brooklyn, especially Williamsburg, is known for their non-trendy trend starting contributions to everything arts related, including their culinary creations) we also had our fair share of unique cocktails. One cocktail in particular deserves a mention: Hotel Delmano‘s Rosemary’s Baby, which is currently being featured on their Fall cocktail menu. Hotel Delman's Menu listing for "Rosemary's Baby"
What’s in the glass? Fresh lime juice, fresh spiced pineapple juice, a bit of maple syrup and Rosemary infused Jim Beam Rye whiskey. 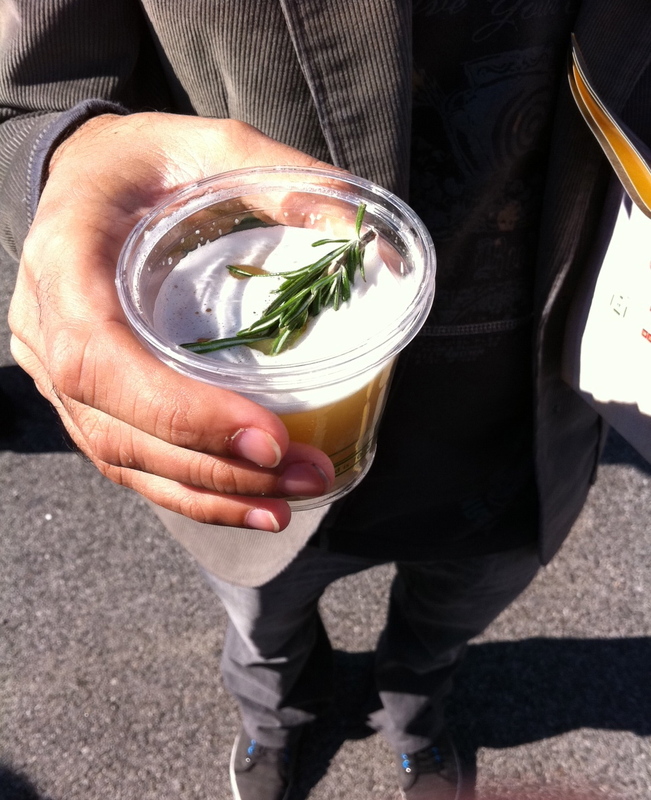 Shaken with a sprig of fresh rosemary for garnish. Dee-lightful. Hotel Delmano's bar tenders making the "Rosemary's Baby"
Rosemary is my all-time favorite herb and the creator of this cocktail did nothing but accentuate it’s wild, pine needle, sweet-earth-meets-spiced-wood characteristics which pair beautifully with Rye whisky. The fresh rosemary sprig garnish does much more than make the drink look nice, it also fills your nose with it’s beautiful aromas as you bring the glass towards your mouth. But be forewarned, if it’s in there too long your drink can get a second, and unnecessary, round of rosemary infusion so either drink up or take it out. 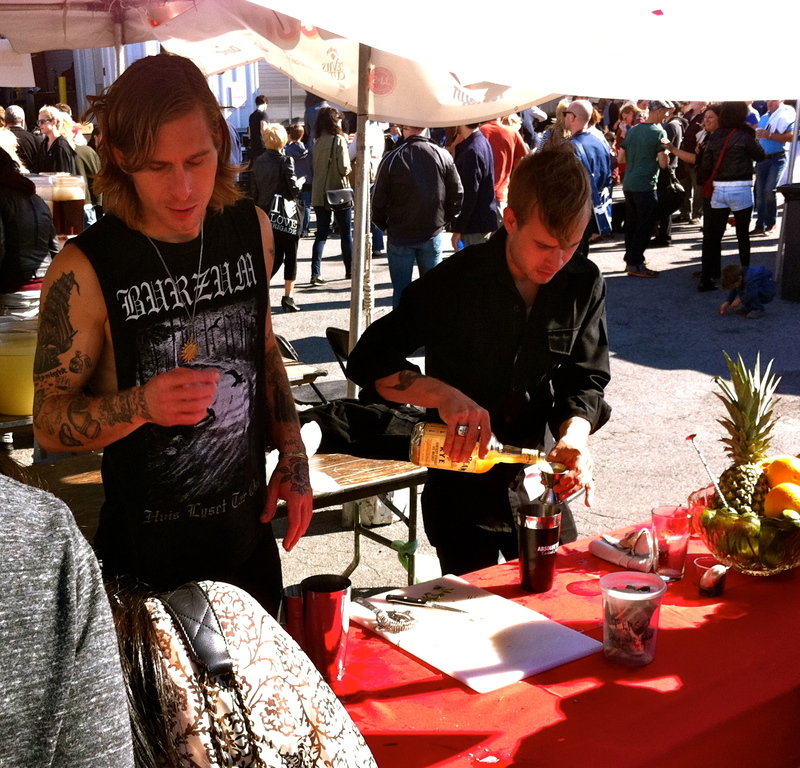 So many booths, so little time! I LOVE Rosemary, yum. 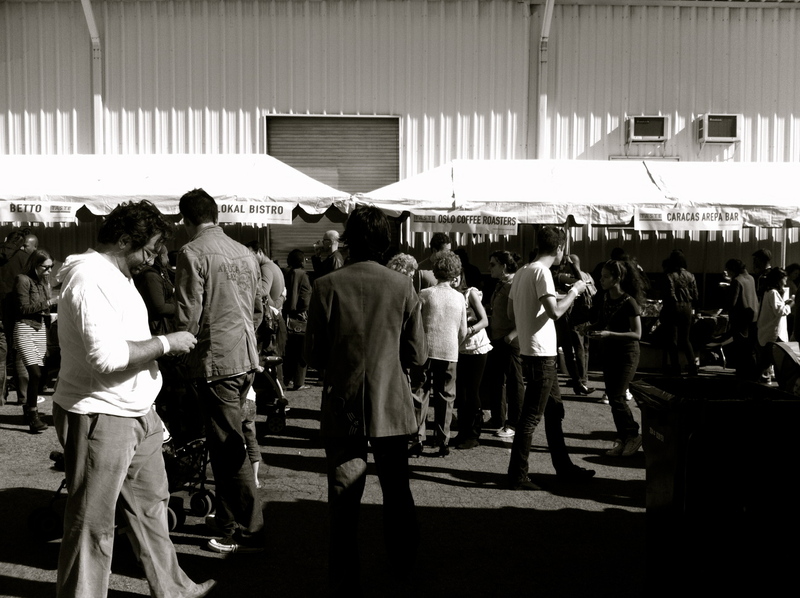 Headin to Brooklyn this weekend, can’t wait to check out hotel delmano’s. You are currently reading Hotel Delmano’s ROSEMARY’S BABY Rye Whisky Cocktail at The Whisky Woman.